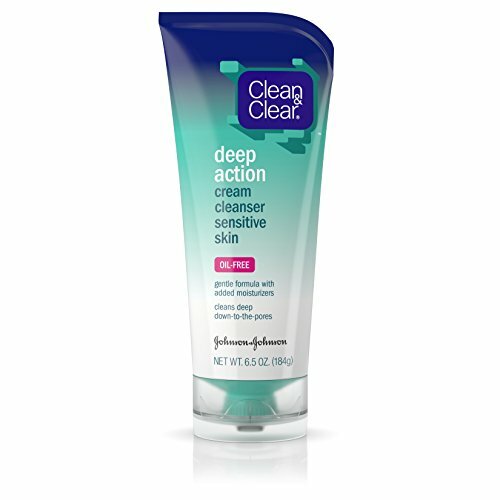 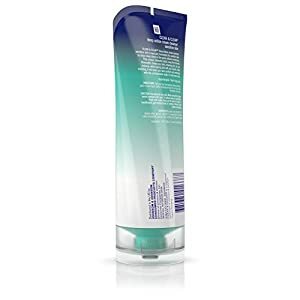 Clean & Clear Deep Action Cream Cleanser Sensitive Skin helps remove dirt, oil, and makeup while leaving skin soft and smooth. 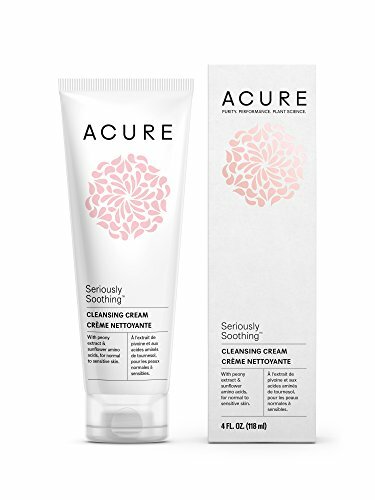 Specially formulated for sensitive skin, this cream cleanser contains moisturizers to clean deep down in pores without over-drying skin. 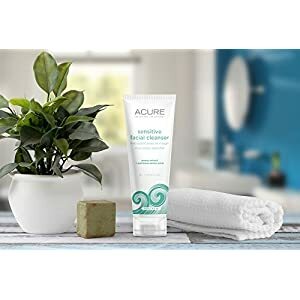 It will leave your skin soothed and refreshed with the unmistakable tingle of really clean skin. 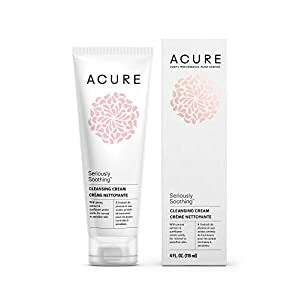 Clinically tested Clean & Clear Deep Action Cream Cleanser Sensitive Skin is oil-and soap-free, hypoallergenic and won't clog pores. 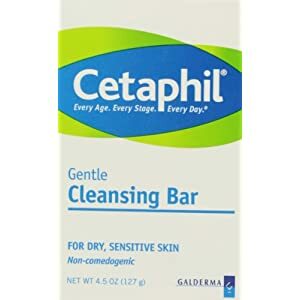 Designed for dry, sensitive skin, Cetaphil Gentle Cleansing Bar cleanses without irritation and moisturizes as it cleans to leave skin hydrated, smooth, and soft. 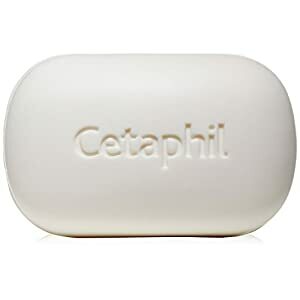 This mild, soap-free bar is free of harsh detergents that might dry or irritate your skin, is ideal for all-over body cleansing, and is gentle enough for children. 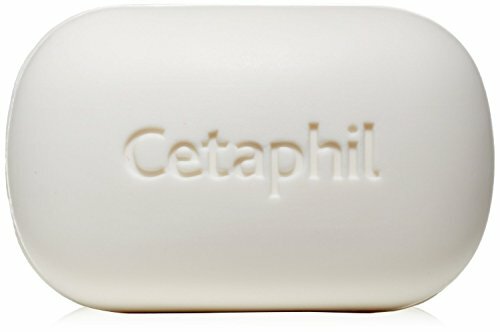 It also maintains skin's natural moisture barrier without stripping its natural protective oils or emollients.